Making Method: High End Computerized Laser Cutting For The Perfect Finish And Shape. ASY TO MOUNT, EASY TO USE, HIGH QUALITY, SOLID, HEAVY DUTY PRODUCT - SAY GOODBYE TO OLD FASHIONED BORING NAME PLATES: Choose from 100s of original/colorful nameplates made by our designers. Dimensions: Length 18" X Height 12" X Width 0.4"
Personalized Acrylic Customised Nameplate made of High Quality Product For Home Décor. 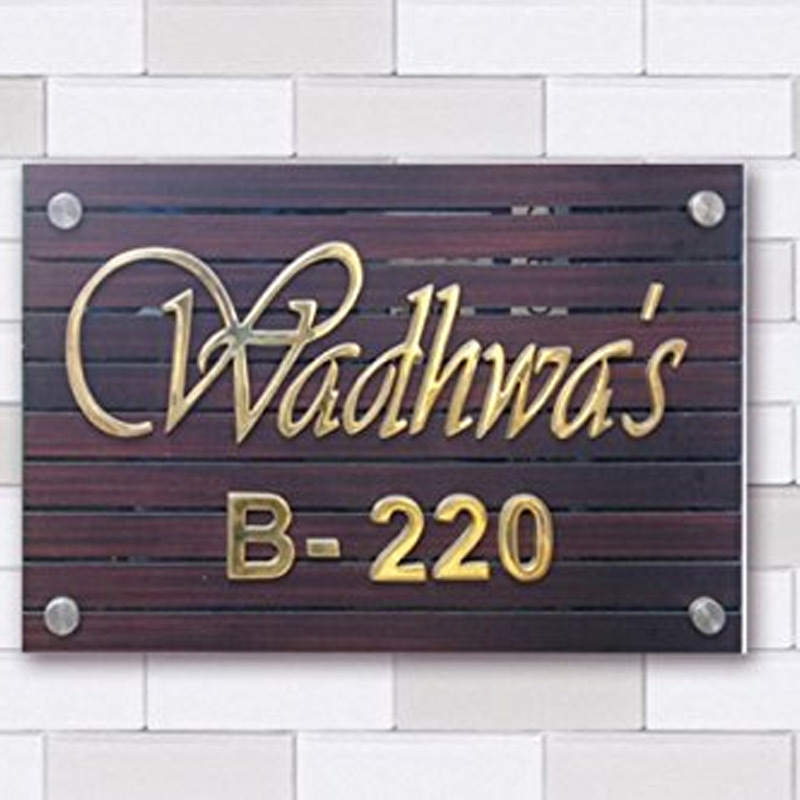 A name plate identifies and displays a person or family staying inside the house. . SANGAM AD brings you a huge range of beautiful name plates designed & crafted by expert artisians from SANGAM AD. The above name plate is 100% customizable & limited to the words mentioned, You can get your own name engraved & enjoy the beauty outside your house.